11:30 a.m. ♦ 2:00 p.m. ♦ 4:30 p.m.
From rain boots to sweaters, barbecue to pumpkin spice, Easter to New Years, and everything in between -- have we got a show for you! 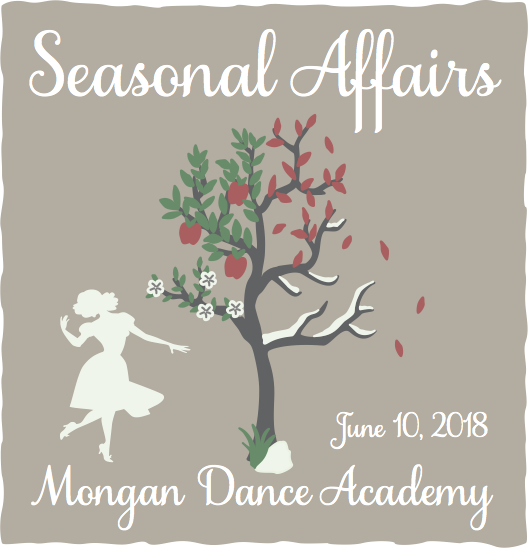 So put on your favorite Summer outfit (or Santa hat if you prefer) for our 5th annual recital, "Seasonal Affairs." RECITAL PARTICIPATION FEES: Recital fees include participation in all recital events (Picture Day, dress rehearsal, and recital). The fee also includes one class costume and tights. There is a $45 costume fee for each additional class. 2018 Picture Day Information -- information about how to order packets, location, arrival, etc.